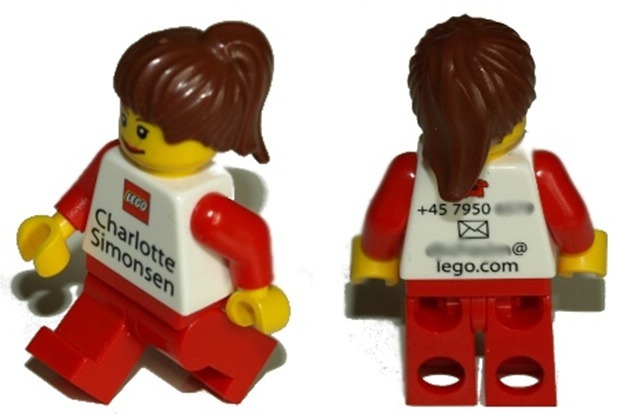 Apparently if you work at LEGO, you get a miniaturized LEGO person of yourself with your contact info on the back. Then when someone asks for your business card, you hand them the figure. That is — how you say — outstanding. Never mind the gigantic bulge of LEGO figures in everyone’s pockets and the incessant noise that must fill every hallway at LEGO headquarters when people walk around, it’s the principle of the idea that makes it so wonderful. It’d be fun to work at LEGO long enough to collect a paycheck and a sack full of mini Dougs, just so I can cross that off my list of things to do before I die.